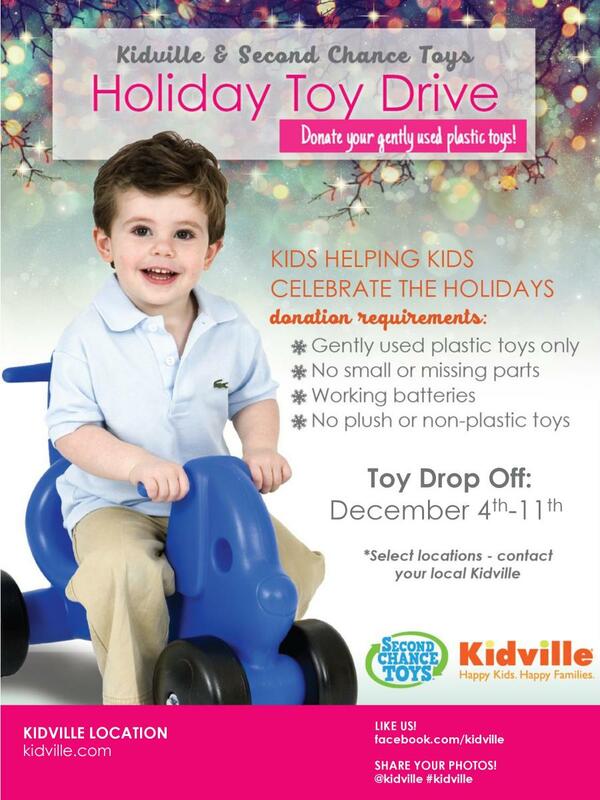 This holiday season Second Chance Toys was blessed to have 10 different Kidville locations collecting gently used plastic toys. In Manhattan, participating locations included the Upper East Side, Upper West Side, Midtown West, Union Square and FiDi. 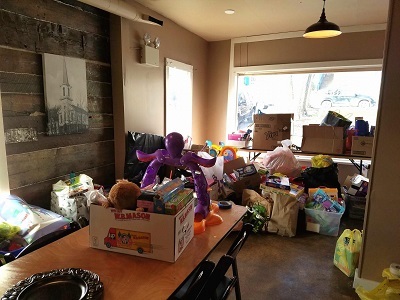 In the Bronx, the Riverdale location collected toys, In Brooklyn, they were collected at the Park Slope and Carroll Gardens locations, and in New Jersey, toys were collected in Montclair and Hoboken. We are so grateful for the efforts of Kidville and for the impact they have had on hundreds of children in their local areas. They truly made a difference for children less fortunate. And for the children that donated their toys, there are invaluable life lessons too. According to Rammy Harwood, Co-Founder/President and CEO of Kidville, "Our collections teach selflessness, empathy and giving at an early age. By donating a once-loved toy of their own, children learn firsthand about the importance of giving and reuse," he continued. What better way to instill and celebrate the true spirit of the holidays. Pictured are some of the 300 toys that were picked up all over Manhattan by 1-800-GOT-JUNK? and delivered to Greater Harlem Healthy Start. The mothers were ecstatic. Thank you, Kidville! 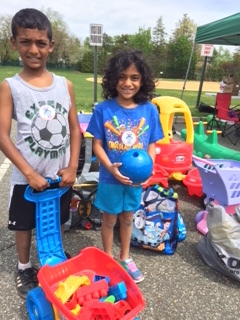 Tashua Elementary School in Trumbull, CT has consistently collected with Second Chance Toys and always with great results!! They not only hold the collection outside their school, but in front of Town Hall as well. Pictured are just a few of the 645 toys they donated to Community Closet, the beneficiary of thousands of their toys over the years. A special thanks to Jim Sullivan for spearheading this at the school. And many thanks to the Tashua Elementary School community for their generosity. Nothing stops them. Not even the snow!!! Brooklyn's PS 132 Collects 1,500 Toys! not all! There were more to be donated to P396K Special Education School, and Bushwick Parish United Methodist Church. Thankfully, our friends at 1-800-GOT-JUNK? were ready to volunteer with the pick-up and drop-off of this enormous collection of toys. 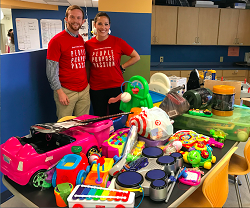 We are so grateful to Danielle and her team of hardworking parents, Thea Z., Suzanne P., and Christian P., who dedicated their time to sorting toys, along with the support of PS 132’s Principal Ms. Lubeck, Parent Coordinator Ms. Bach, and Head Custodian, Tommy. What a winning team!! 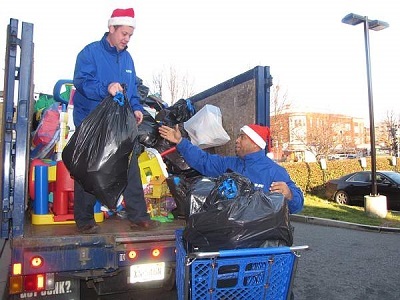 Unsubscribe from: Blog item: Brooklyn&#039;s PS 132 Collects 1,500 Toys! 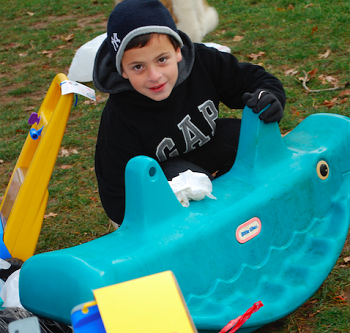 A first-time collection in Blairstown, NJ yielded great results-- over 600 toys collected! Donations were gathered through the Blairstown Museum, and spearheaded by volunteer extraordinaire Brianna Miller (pictured). Together with Brianna, a team of volunteers gathered to clean and distribute the toys throughout Warren County. Thank you, Blairstown! Ridgewood Savings Bank Brings Smiles to Many! 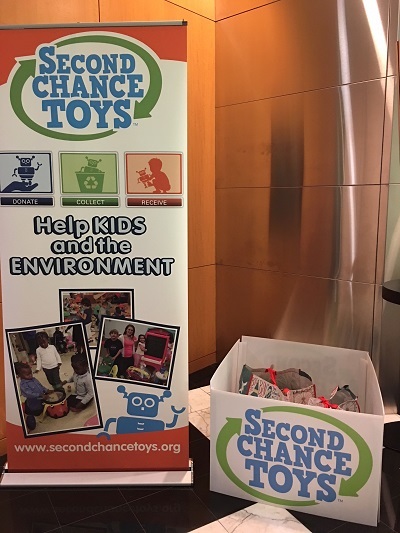 For several years now, Ridgewood Savings Bank has been collaborating with Second Chance Toys to collect for children in NYC. Over the years they have donated hundreds of toys. This holiday, Amral Khan once again coordinated a bank-wide collection. Through the generosity of its employees, Ridgewood Savings Bank was able to donate 300 toys to Cienfuegos Foundation in Queens. The toys have made a real difference this holiday for the children we serve" exclaimed Bethania Perkins, director of Cienfuegos Foundation. "We are so grateful for the bank's efforts to help the community. Some of the children had not had a reason to smile for a long time. The bank’s efforts helped bring many smiles, much laughter and cheer into their lives and they could concentrate on being children," she continued. Thank you Ridgewood Savings Bank. Unsubscribe from: Blog item: Ridgewood Savings Bank Brings Smiles to Many! We all know how new toys magically find their way to good little girls and boys for the holidays. But did you ever stop to wonder how so many gently-used plastic toys get into the hands of those that need them? Most collectors with 50-100 toys work out arrangements with their matched organizations for pickup or drop-off. But when we have a collection of several hundred to over a thousand toys, who can we always count on for their generosity of time, trucks and manpower.... our friends at 1-800- GOT-JUNK? For close to 10 years now, they have volunteered to deliver our collections in NY, NJ, PA, DC, MD, VA, MA, IL, FL, MI, SC, CT, GA, CA... basically wherever and whenever we ask them to help out!! 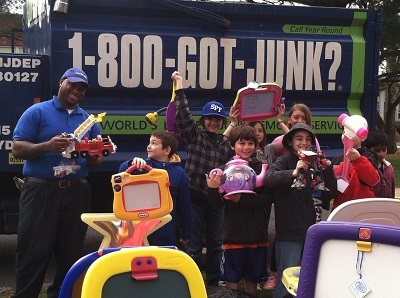 Over the past decade, 1-800- GOT-JUNK? has helped us transport hundreds of thousands of toys to children in need and kept as many toys out of the landfills as well. There are no words to express our gratitude for their willingness to help and deliver thousands of toys at a time. They are polite, efficient and generous and stand by their mission of promoting reuse vs. waste. Thanks to the generosity of 1-800- GOT-JUNK?, Second Chance Toys is able to scale our efforts and impact many more children. They are indeed responsible for making magic happen for so many children this holiday season. Thank you 1-800- GOT-JUNK? for all that you do. Looking Back at a Successful 2017! 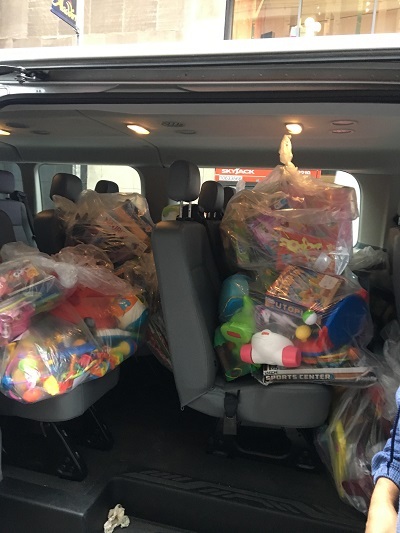 As a result of the amazing collections conducted by hundreds of volunteers throughout the country, Second Chance Toys was able to coordinate donations of 25,000 toys in 2017. And the volunteer efforts of our partners, 1-800- GOT-JUNK?, make it possible to transport very large collections to multiple organizations. 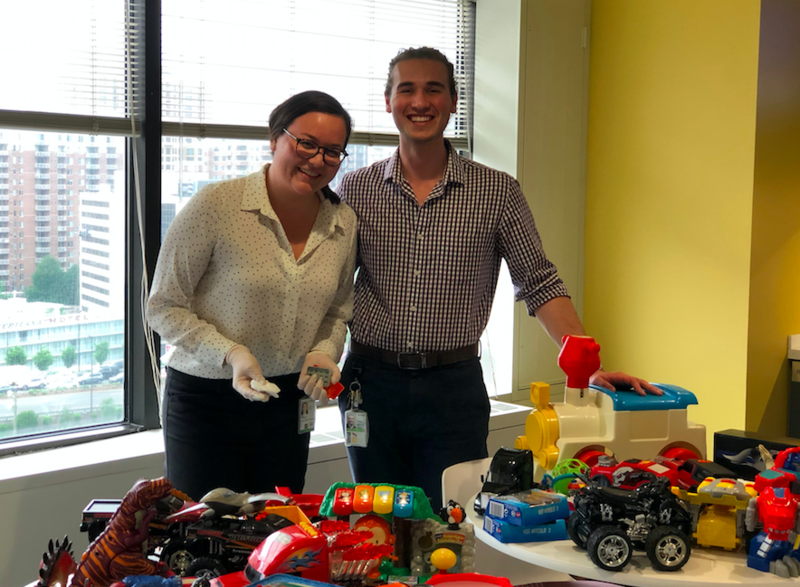 We are so happy to have kept thousands of plastic toys out of landfills that are now helping to inspire children to create, imagine, play and learn. 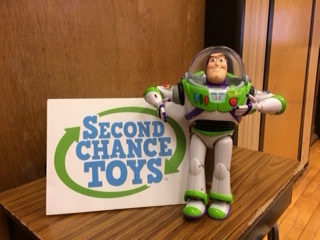 Thanks to everyone involved with Second Chance Toys for your time, efforts, and enthusiasm for our mission. You have made a real difference. Unsubscribe from: Blog item: Looking Back at a Successful 2017! 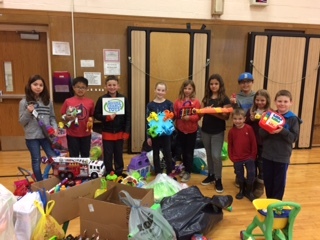 The student body of McGinn Elementary in Scotch Plains responded overwhelmingly to the call for gently used plastic toys. 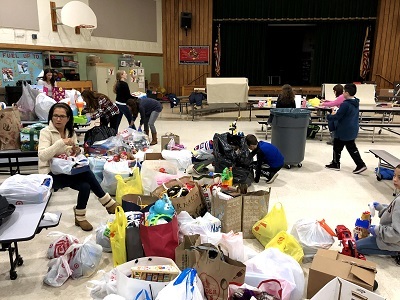 Thanks to Kelly Sachetti, the PTA moms and the help of fourth graders, they were able to collect, inspect, clean and bag 830 toys within an hour of school bell. They certainly helped make magic this holiday season for so many children served by Union County Council for Young Children. And as a bonus, the children at McGinn experienced firsthand the importance of giving and the special feeling of helping others less fortunate. Now that&#39;s what the holidays are all about! Thank you McGinn for your continued support of Second Chance Toys! Unsubscribe from: Blog item: McGinn Does It Again!! 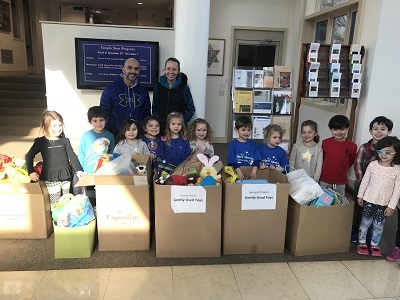 The fourth grade class of Solomon Schechter Day School of Greater Monmouth County coordinated a toy drive to benefit Second Chance Toys, with help from their teachers, Mrs. Miller and Mrs. Markowitz and the school administration. Students in the class informed other students in the school of the fundraiser by creating posters to spread the word. Children in the school generously donated both new and gently used toys. The whole school community got involved including students, teachers and other staff. Due to the competitive nature of this particular fourth grade class, their teachers split the class into two teams. The in-class competition encouraged everyone to participate in donating toys. Once the competition was finished, they had collected 300 toys, which were donated to Community Refuge Education Center. The class shared all of the details of the collection in a school-wide Thanks & Giving assembly in which the students relayed all the things they were thankful for and that there were children who were not as fortunate as they. They explained how they reached out to family, friends and community to help children that might not receive toys for the holidays. By doing the skit, they taught the entire school how important it is to give back. Bottom line: The students were very excited to help others and are determined to do more drives to help the less fortunate. The holiday toy collection at Evergreen School in Scotch Plains is proof that when a community comes together, great things happen. The collection was promoted well in advance. 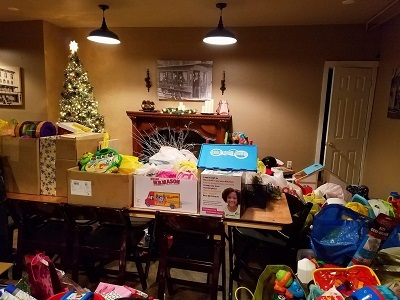 The Kids Care Committee posted e-blasts for weeks, the PTA president sent out reminders about making sure the toys were clean, that loose pieces were put together in bags and attached to the toys, and that toys were in the same condition that parents would want to give to their own children. 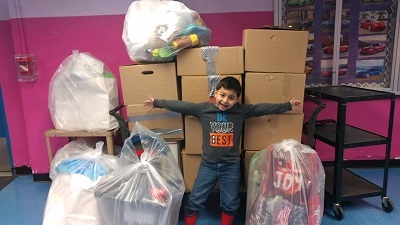 Not only did the community respond with everything bagged so neatly, but a record number of toys were donated! In only one hour, the fourth graders inspected, wiped down and bagged up the collection of 950 toys. Then, like clockwork, 1-800-GOT-JUNK? 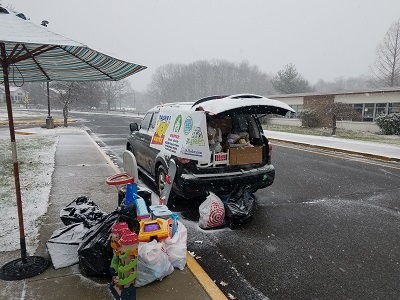 pulled in front of the school to load up the toys and cart them to Newark, where they were donated to Vince Lombardi Centers for Hope. We could never move as many toys as we do and impact the thousands of children we do without the volunteer services of 1-800- GOT-JUNK? their trucks, time and manpower. 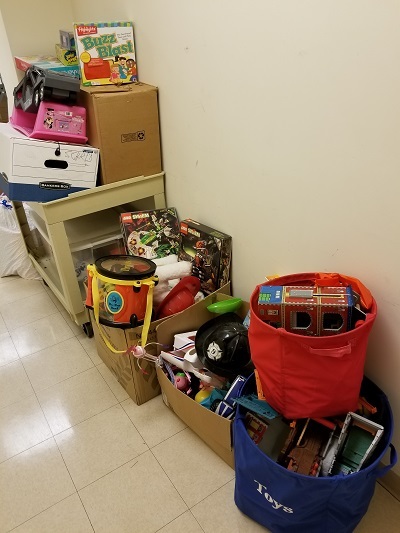 Special thanks to Evergreen Principal, Colleen Haubert, for supporting the collection twice yearly at the school, and to the Kids Care parents, Lindsay DeMasi and Kathleen Migliaccio, for their consistent dedication and hard work year after year! !​ Thank you all. Shop to support Second Chance Toys! This holiday season, our generous partners at rose & rex are donating 25% of the sale price of two adorbale Hazel Village plush animals to Second Chance Toys. 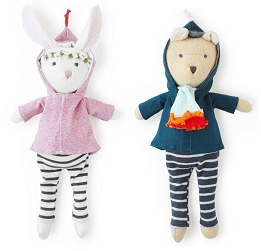 Nicholas Bear Cub and Penelope Rabbit are beautifully crafted from eco-friendly materials and feature hand-stitched faces. 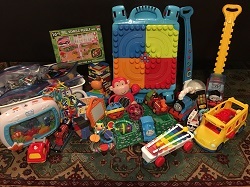 By helping Second Chance Toys reach more children with each purchase, it's a win-win for anyone seraching for a unique and heirloom-quality plaything for a special child in their life. Shop today! 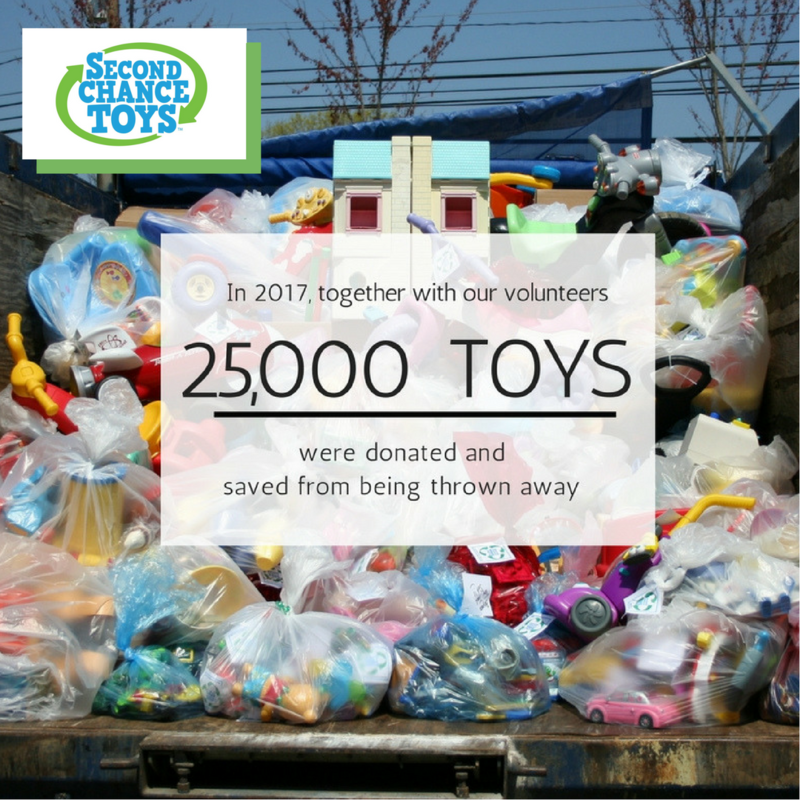 It was that thinking, along with a sense of helping the environment, that led to the birth of Second Chance Toys (SCT), and getting used plastic toys into the hands of children in need. Children who probably would NOT receive a toy if not for the efforts of SCT. Possibly one of the industry leaders along these lines is Little Tikes Inc., based in Hudson, Ohio [Akron area]. Famous for their Cozy Coupe Cars, Cape Cottage Playhouses and other designs. The things simply never wear out! And even with a few scuffs and minor wear and tear, with some tender loving care they can be restored to nearly good as new. I know this first hand. When we were starting our family years ago, my wife decided to stay home and be a full-time mom. We stretched our single income through garage sales and thrift shops, but by selecting good quality products, that hold up. Second Chance Toys brings as much joy the second, third and even multiple times around. Especially to a child expecting​ nothing. This year, the Booz Allen Sustainability Program Management Office coordinated the involvement of eight offices throughout Virginia, DC, Maryland, Tennessee, and South Carolina. 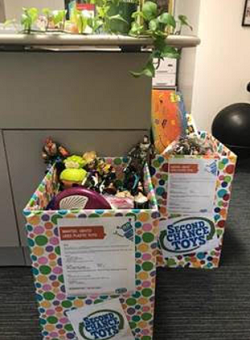 Each team provided collection areas or boxes within their offices, cleaned the toys to look good-as- new, and donated them to local organizations matched by Second Chance Toys. 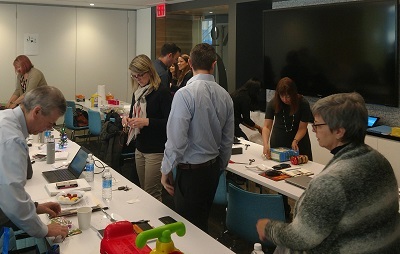 This year’s program was co-chaired by employee volunteers Elaine Soya and Kathy Medici, with the cleanup supported by employee forums as part of Take Your Children to Work Day. "We are thrilled to see enthusiasm for this program growing internally," said Sustainability Program Manager Elizabeth Wayt. "Teams are helping local children in need while doing something meaningful in celebration of Earth Month." 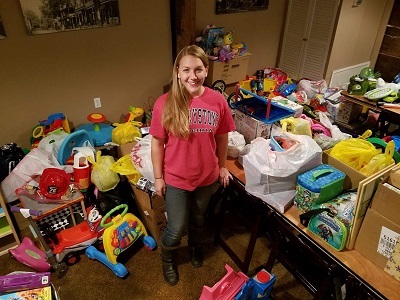 In some instances, volunteers themselves delivered collections of used toys directly to their local organization. 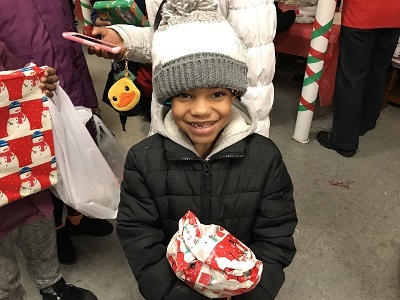 "Seeing the smiling faces of the deserving children and knowing that we were directly responsible for bringing so much happiness warmed our hearts," remarked DC volunteer Nadine Goff. 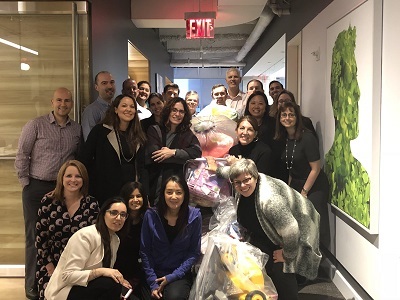 Second Chance Toys is grateful for the time, effort, and enthusiasm devoted to this growing Earth Month program at Booz Allen and for the firm’s recognition of our mission in the way of a generous grant. Earth Month 2017 Yields over 8,000 Toys! Why is Buzz Lightyear smiling? Because thousands of his plastic toy friends were saved from landfills this Earth Month!! Second Chance Toys enjoyed a great response allowing us to match many individual collectors from around the country with organizations in their local area that need toys. Additionally, we enjoyed many repeat collectors who have consistently seen an increase in the number of toys donated year after year. Many locals have now come to rely on repeat collections and know to save up their toys throughout the year. 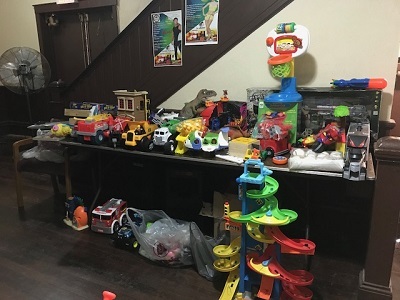 We have received comments from parents that Second Chance Toys provides a guilt-free way to dispose of plastic toys, knowing they will not end up in a landfill and instead, be played with again. Many parents and grandparents use the donation process to instill in their children the life lessons of giving and reuse. 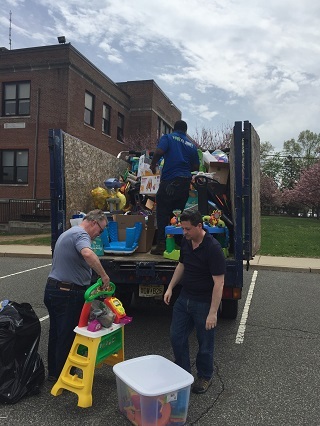 With over 8,000 toys donated this April, we were able to spread the love far and wide and in the process, keep over 30,000 pounds of plastic out of the landfills!! Thank you everyone who donated, collected, and supported Second Chance Toys. We depend on volunteers to help make magic for children and the environment. 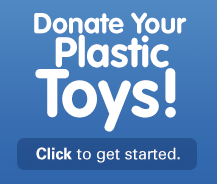 Unsubscribe from: Blog item: Earth Month 2017 Yields over 8,000 Toys! Evergreen School Does It Again! In spite of the downpour, the kids and parents at Evergreen School rallied and collected over 300 toys in just a little more than an hour. The toys were cleaned, batteries were changed and these colorful plastic gems looked as good as new!! On hand were our friends from 1-800-GOT-JUNK? who volunteered their time, manpower and truck to pickup and deliver the toys to Freedom Ministries in Plainfield. 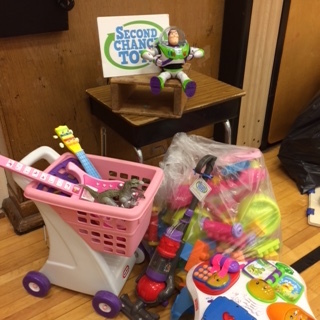 Evergreen has been doing twice yearly collections with Second Chance Toys for 10 years, since 2008! 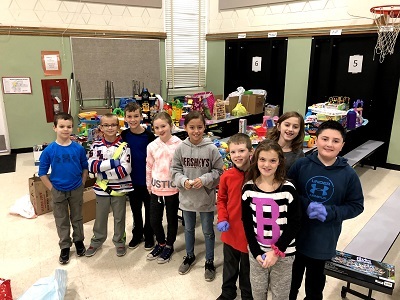 Thanks to the PTA volunteers for getting the word out, organizing the drive and helping the fourth grade volunteers that cleaned and inspected the toys. This was another great success in a string of many!!! Unsubscribe from: Blog item: Evergreen School Does It Again!